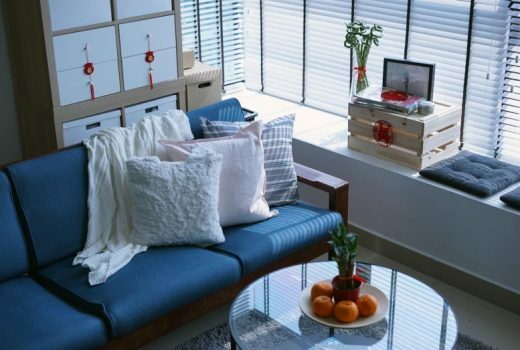 Finally, another #JoandBoCooks after so long! We haven’t been able to cook for about 3 weeks ‘cause there was pipe leakage in our kitchen and now the problem has been diagnosed and repaired. Anyway, a few of you have requested the recipe for my Taiwanese Braised Pork Rice Bowl (滷肉飯) when I cooked it the other day, so I decided to make this dish today. I would say this dish is the easiest and the most satisfying dish that can be prepared at home. 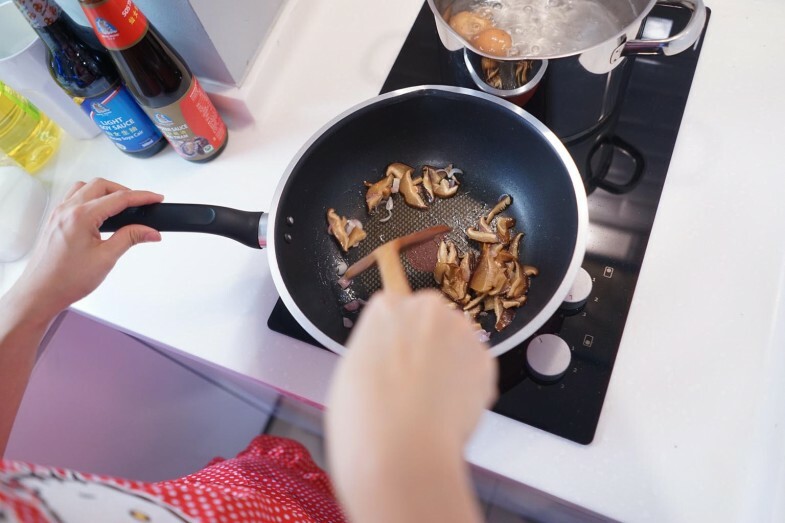 First, heat up 1 TS of oil in the pan, then add in cut shallots and mushrooms slices. In the meantime, also bring a pot of water to boil, and once boiling, turn down the heat, and cook the eggs for roughly 8 mins. I usually put the cooked eggs in cold water to stop the cooking. 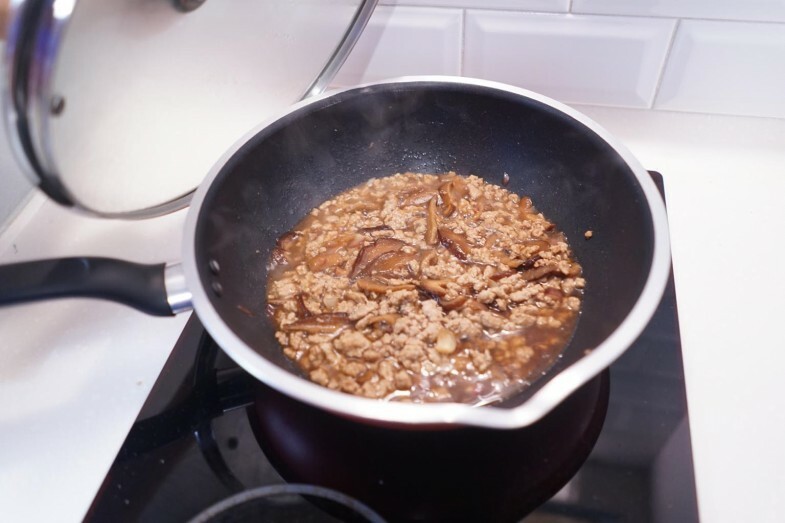 Once the shallot turns golden, add in minced pork or chicken into the pan and stir fry till it’s cooked! Stir it for a while then add in the Angel soy sauce! 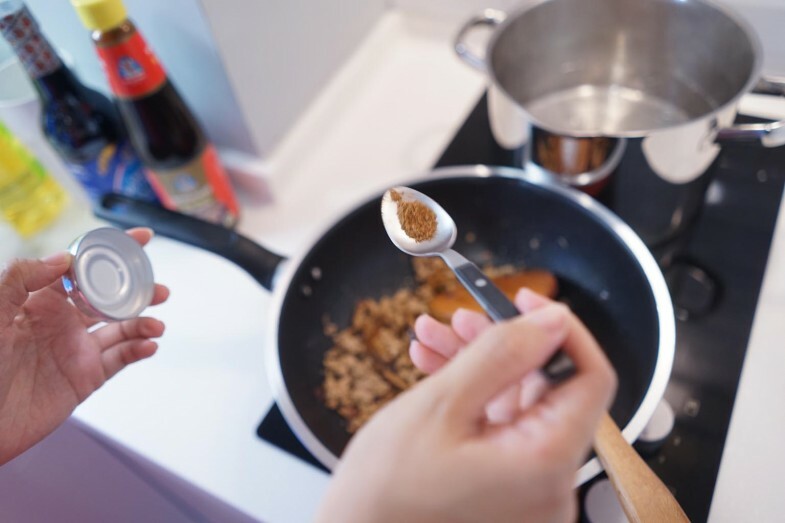 I’m using the Light Soy Sauce because we like the great taste and “umami” flavor that can only be brought out by using soy sauce, but we also want to reduce sodium in our diet. Consuming high amounts of sodium is unhealthy and can lead to health complications later on! 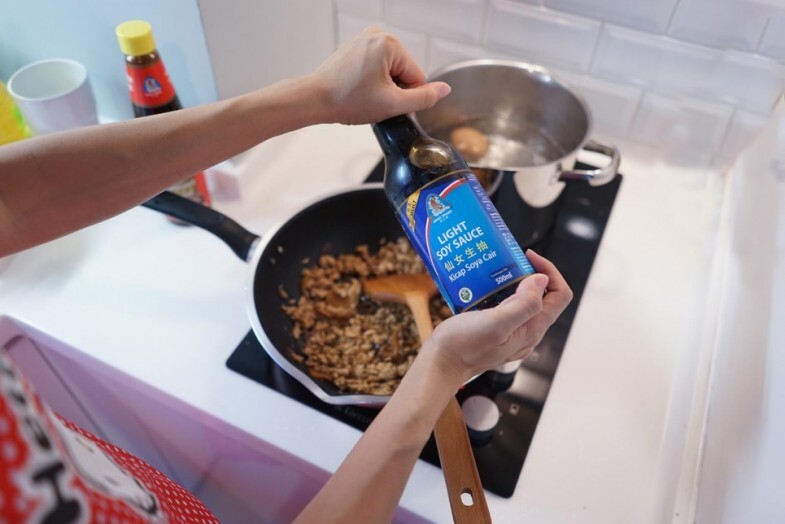 I am using Angel soy sauce and oyster sauce not only because they taste good or are a trusted household name in Malaysia, but because Bidor Kwong Heng is the first sauce manufacturer in Malaysia to use only non-GMO (genetically modified organism) ingredients! They were also the first to receive ISO 9001:2000 and HACCP certification way back in 2002 and the company has also received the prestigious BRC certification and full FSSC22000 certification since 2011. 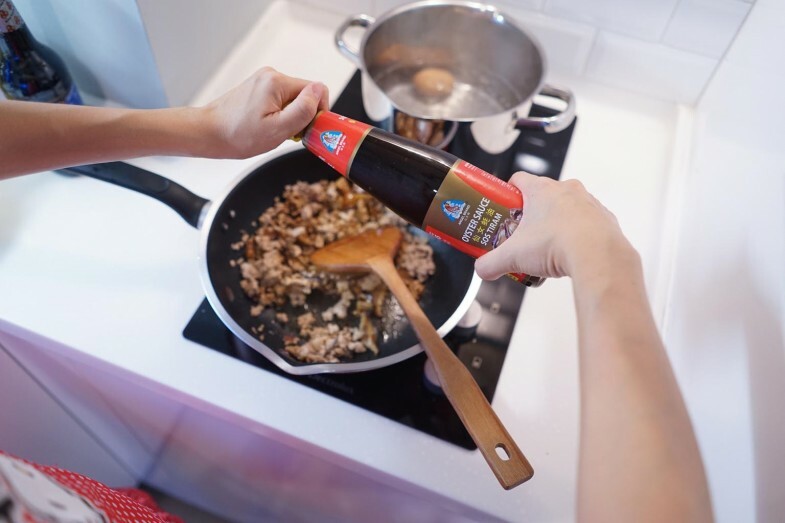 Angel Soy Sauce are 100% naturally-brewed for 3 to 6 months and are made without added HVP (hydrolysed vegetable protein), thus free of 3 – MCPD, a carcinogenic compound. 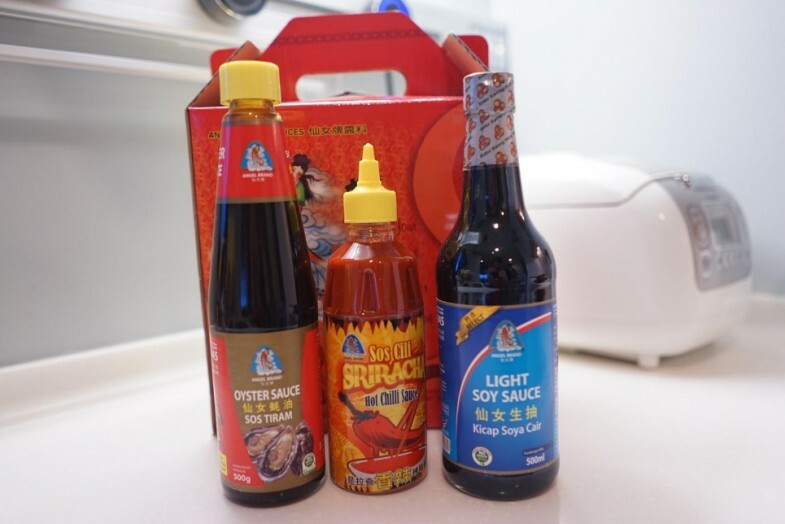 Don’t say I’m aunty but I’ve heard many stories or old wives tales about how some soy sauce and oyster are made using really cheap ingredients, or are made with lots of colouring and preservatives, so I only choose a good trusted sauce like Angel. 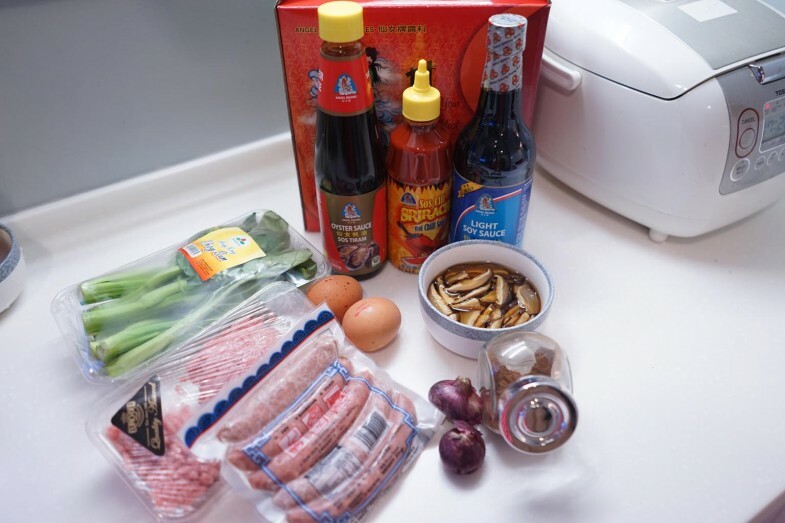 Then add in Angel Oyster Sauce! 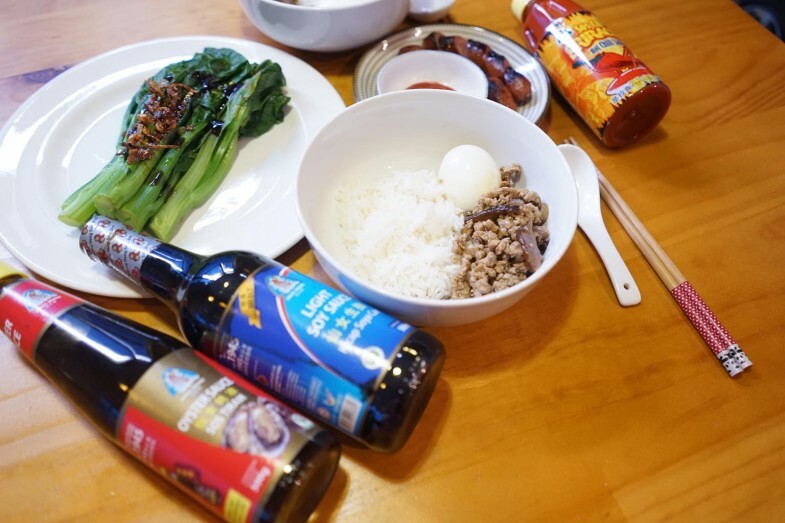 Oyster sauce is very commonly used in Chinese cooking but a good oyster sauce really makes a big difference as the taste is rich, but not overly salty or overpowering. Then add in the salt, five spice powder, and sugar! The chef and her very expressive eyebrows LOL. I was frying the shallot for the vege! 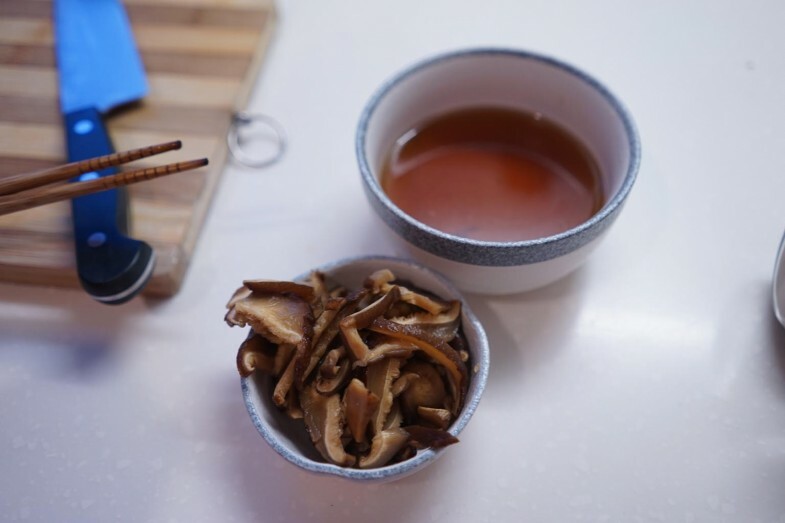 Once you have added in all the spices, it’s time to pour the leftover mushroom stock into the pan and let it slowly simmer. You need to simmer for 10-15 min! 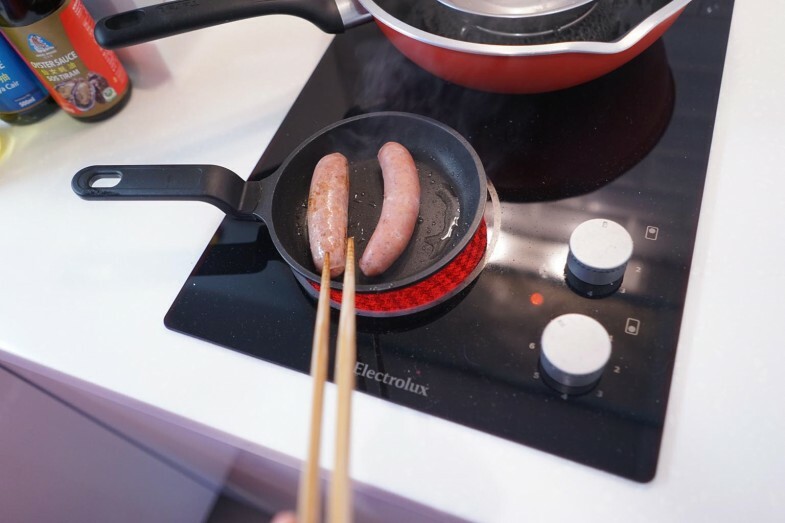 Oh yeah, remember to put in the eggs that you cooked just now too! 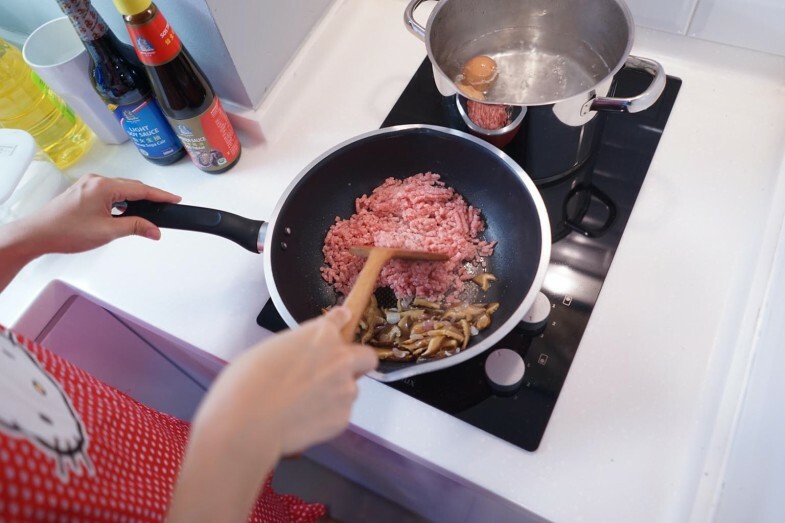 This is really a simplified version of this dish, and not to mention slightly healthier as you can ask your butcher to grind you lean meat to use in this recipe! 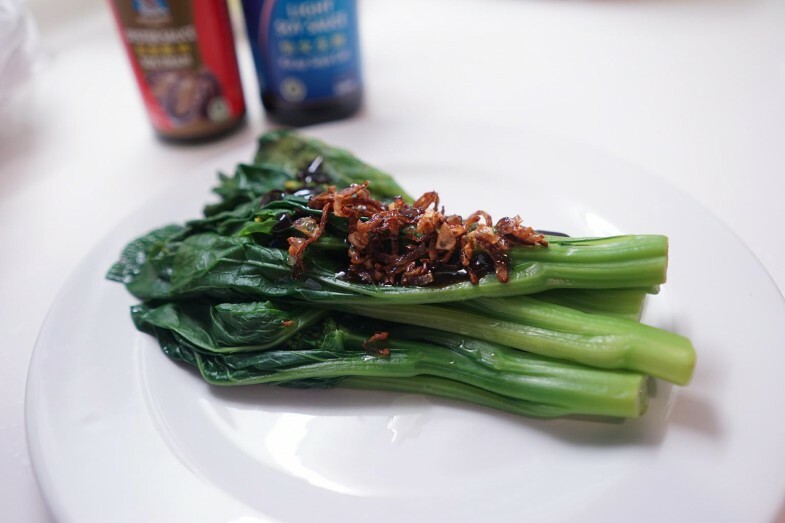 For the vege, I boiled one pack of Hong Kong kalian in salted water, then added 1 TBS of Angel Oyster Sauce, and topped with a bit of fried shallot and shallot oil! 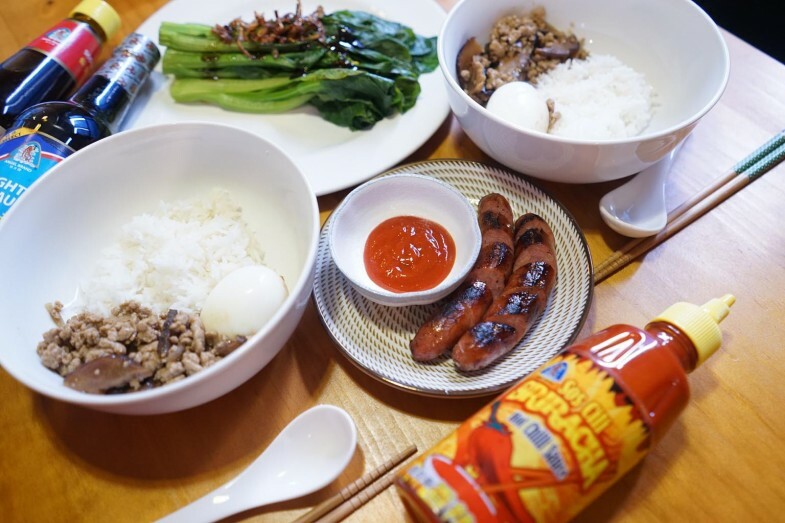 Our dinner is served, Taiwan Braised Pork Rice with Taiwanese sausages!